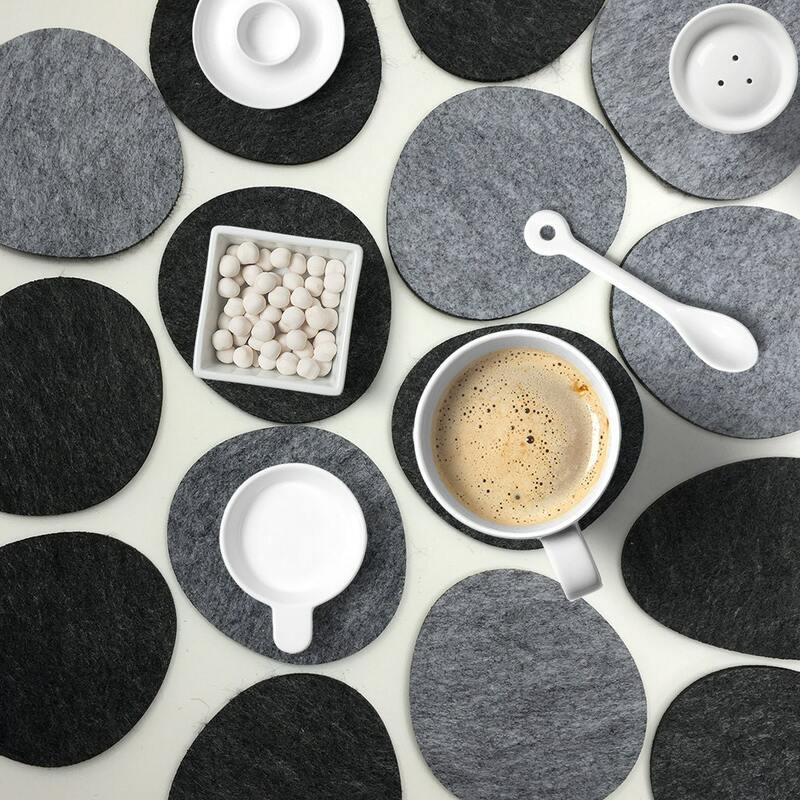 Give your table a stylish look with our felt coasters.Made from durable polyester felt, Use them at breakfast time only need a quick wipe down to keep them clean. Available in sets of 4. Each set comes nicely packed in a clear PET box,perfect for house warming gifts or wedding present.